We have several clients that we work with on a weekly basis by designing print / graphic designs for them, mainly newspaper and magazine ads. 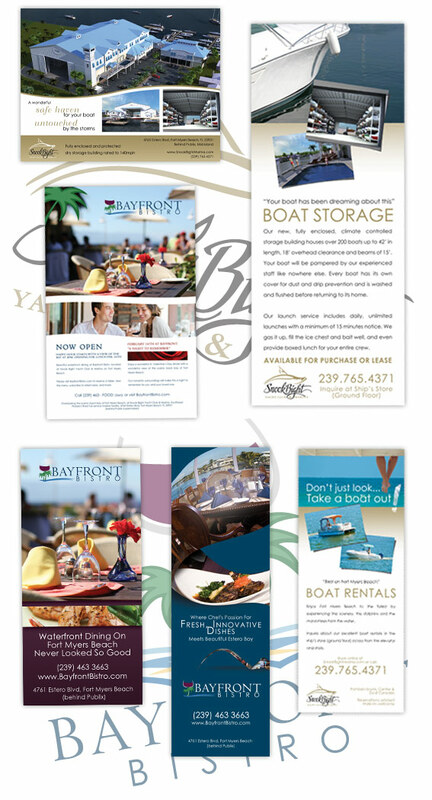 Here are a few recent ads we designed for Bayfront Bistro and Snook Bight Yacht Club & Marina. These ads have been published in Gulf Shore Life Magazine, Newspress, Florida Weekly, and a few others in the local Southwest Florida area.